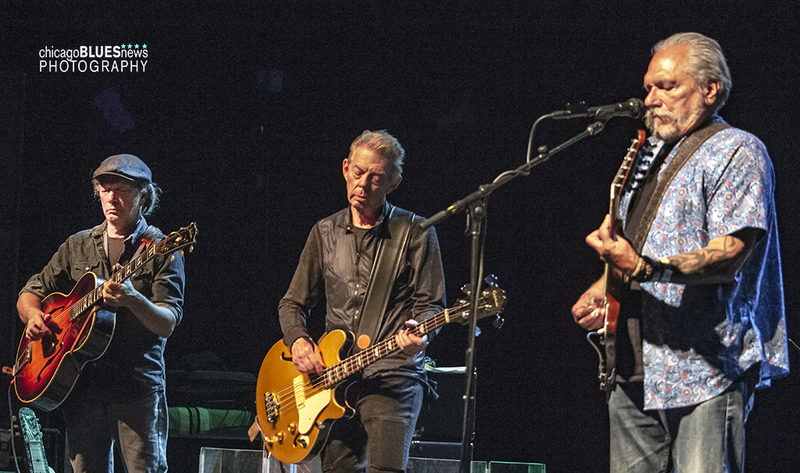 I know that the acoustic version of the band will be here in December at the Old Town School, but honestly I prefer the electric version and happened to be in the relative area of the Tucson show–give or take a hundred or so miles. The show was as great as I expected it to be and I learned that the band has somewhat of a cult following when we met three guys who had driven from New Jersey (you heard me!) to see them in Arizona (there must be more to the story that I wasn't told). They also caught the show at the Scottsdale Center for the Performing Arts and declared the Scottsdale venue much better (of course it was...it's Snottsdale.) To be fair, the Rialto is old and in the process of being renovated. 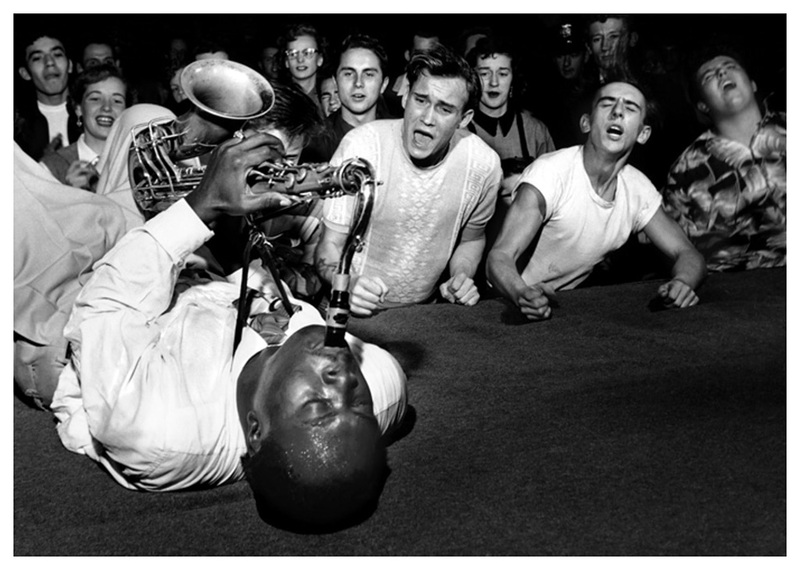 One-of-a-kind tenor sax player Cecil “Big Jay” McNeely has died of advanced prostate cancer. He was 91. I only had the pleasure of seeing him once, when he appeared at the Chicago Blues Fest in 2007 and was already in his 80s. The way he blew off the stage and tore through the crowd was jaw-dropping. What a performer! BYE FOR NOW. After my super horrible Thursday and the fact that I never went on European hours this past summer, I will be taking a brief break after today's newsletter. Don't worry. I will keep the calendar up to date and will be back with a new newsletter and the same ol' attitude on OCT. 12. Be sure to go out and hear live music while I stare at the wall and regroup. If I have anything to say that cannot wait a few weeks, I will post it (UGH) on Facebook. NOT DEAD YET. Last week, I inadvertently put Billy Boy Arnold in the Birthday Remembrance list rather than the Celebrate list. As I am sure you know, Billy Boy Arnold is still celebrating--at the age of 83 years young. In fact, you can see for yourself OCT. 5 at Rosa's Lounge. HARD-WORKING MAN. 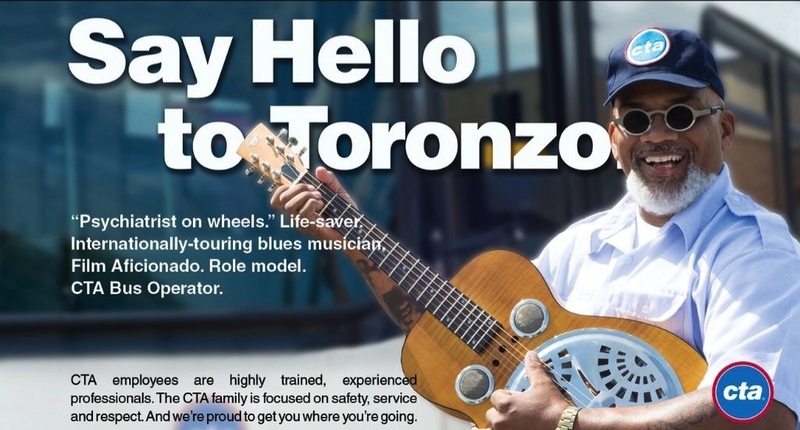 Toronzo Cannon, who drives a CTA bus in addition to being one of Chicago's most electrifying blues guitarists, vocalists and songwriters, is one of a dozen CTA employees currently featured in a CTA ad campaign. The ad is below, buy you can also see it in and on buses, at elevated train and subway stations and inside train cars. "Two rival record collectors attempt to con an old lady out of a rare but cursed 1930s blues record. When a series of unfortunate circumstances lands them in jail, the feud festers for over 20 years until they are released from prison and get a second chance at snagging the vinyl – this time from a more formidable foe." The soundtrack mixes traditional and modern blues, which is enough to get me in the theater (I'm easy). Plus, I like two of the cast members: Jon Lovitz and Steve Guttenberg. 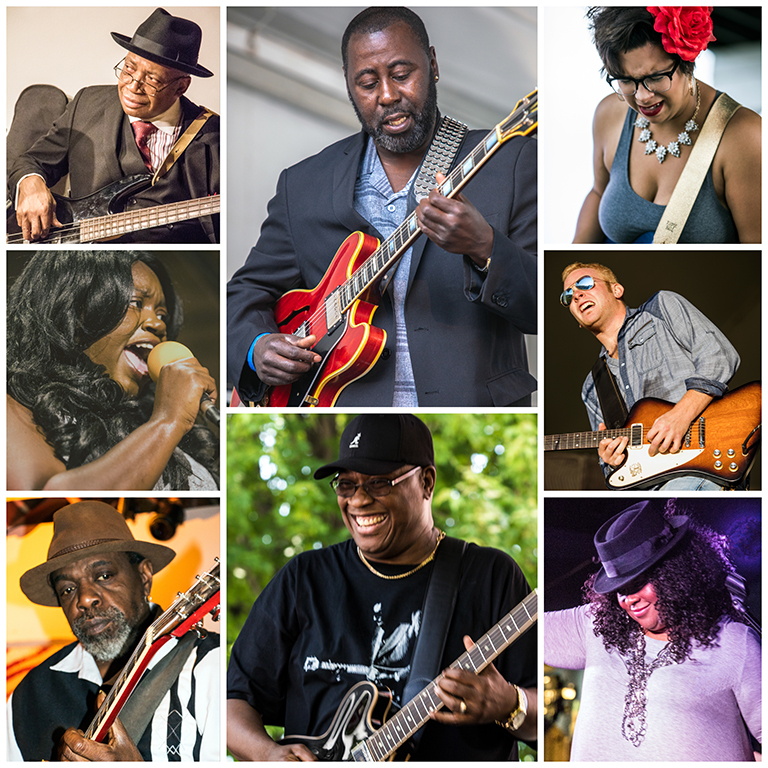 Two stages, more than 40 acts featuring many of Chicago's finest and a few out-of-towners, plus plenty of food and drink. Can you really think of a better way to celebrate what could be the last gasp of summer in the city? REMEMBER: Always call first. Things change. 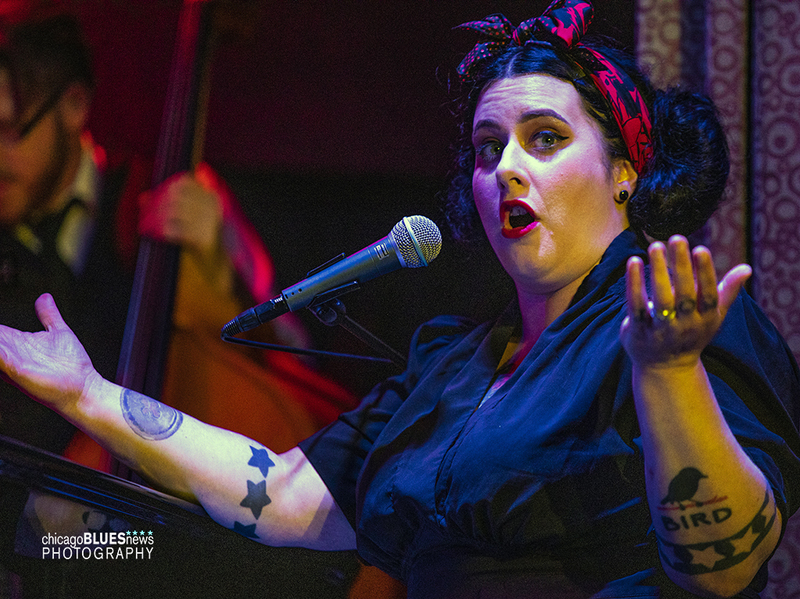 While it is a huge stretch to call this a blues show, Davina is definitely blues-ish with her old-timey approach and The Claudettes are...I'm not quite sure. It was certainly a different show that what I expected, but that's what makes this group interesting. That–and Johnny Iguana.